Our platform supports the adding of shortened links to your SMS Campaign text. URLs that you add through this process will be automatically shortened by platform. 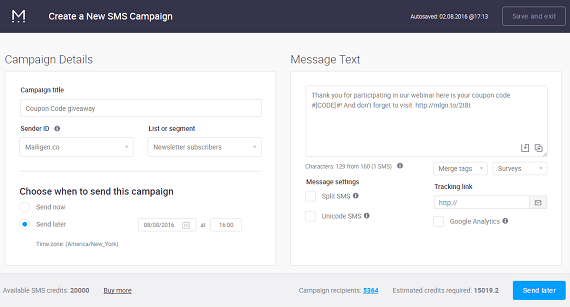 Select the My SMS Campaigns option from the SMS Menu. This will open the Create New SMS Campaign Window. Choose an existing draft or create a new campaign.